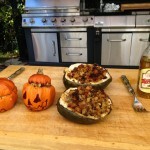 Full sized acorn squash is a delicious on its own. Sweet, with a consistency similar to mashed potatoes, winter squash has always delivered a quality one (small) plate meal. In this week’s episode we conjure up a spooky and delicious GrateTV Stuffed Jack-o-Lantern. 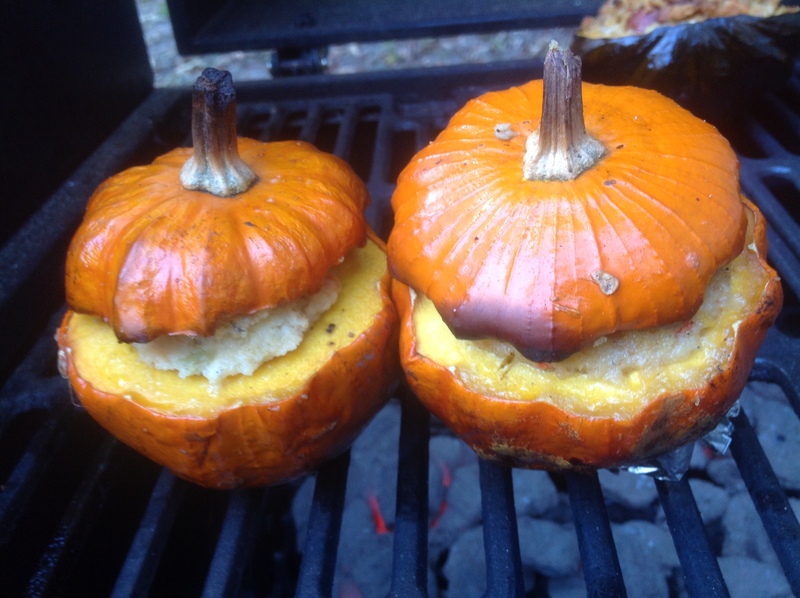 Golden acorn squash as a “grilled pumpkin.” It’s a Halloween recipe that will make you choose Tricks because the Treat is going to be on your plate! It’s spooky punkin time! This year, Halloween weekend will mark a time change. 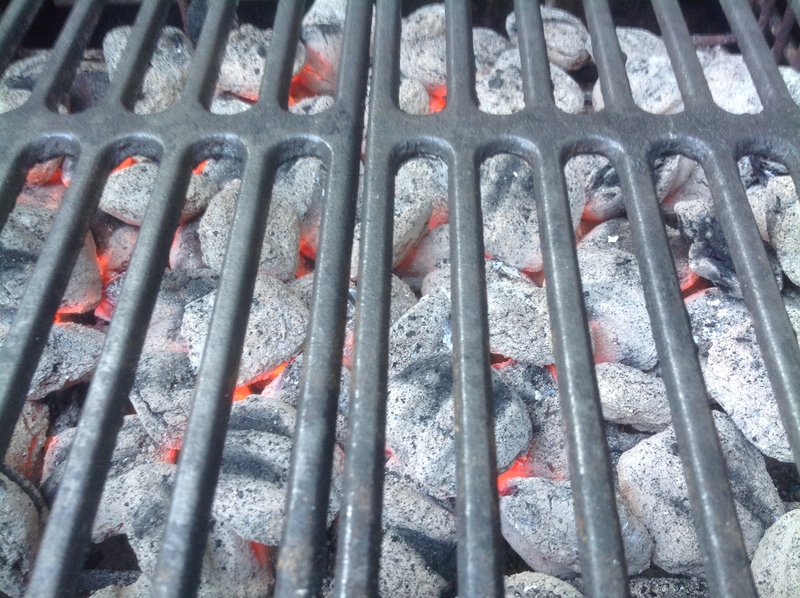 According to the experts at GrateTV, grilling season opens on time change weekend’s leap forward. It only makes sense that if grilling should have an “offseason” that would start on time change fall back weekend. Here is the “Birthplace of American Barbecue”, South Carolina; we enjoy the grills more when the weather cools. Like…now! Inspiration comes in many different lights. 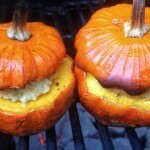 Pumpkins are edible, but stuffing and grilling a Jack-o-Lantern style pumpkin is better left up to the extremists. Working with something manageable is much more sensible. 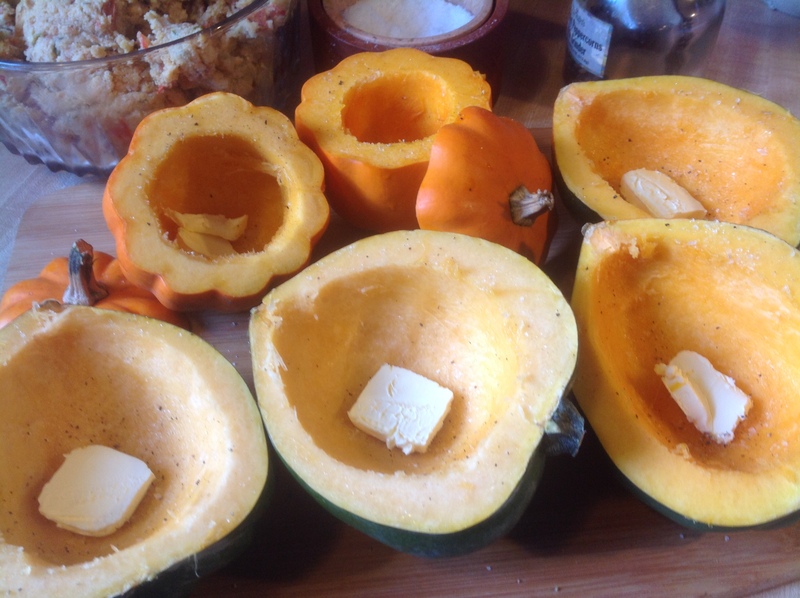 The corner grocer turned up the perfect vessel; the golden acorn squash. So onward we go to the GrateTV Stuffed mini Jack-o-Lanterns. 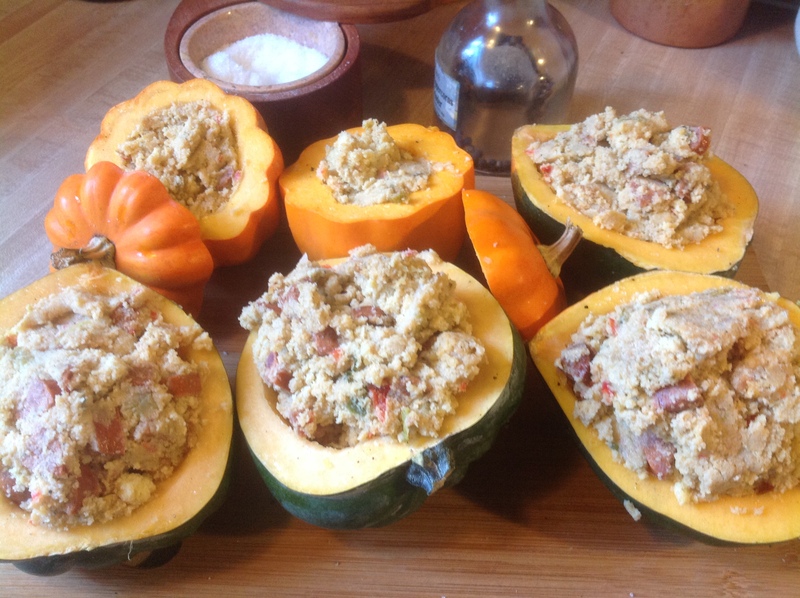 The stuffing needs to be spicy, savory and delicious. 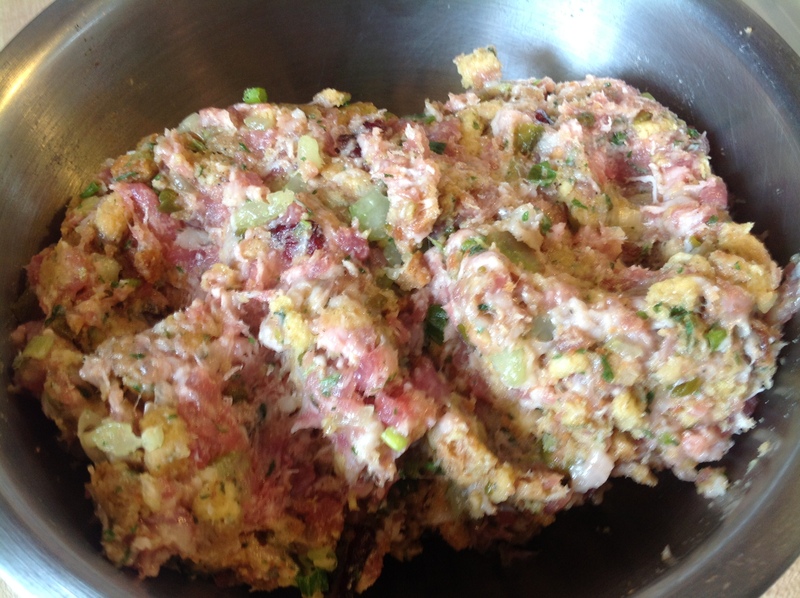 When the test demo was done, a spicy Cajun Andouille sausage stuffing was created. 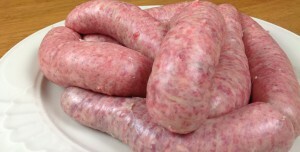 For the video episode we created the stuffing using the Big John T’s Hog Balls recipe. Both were excellent! 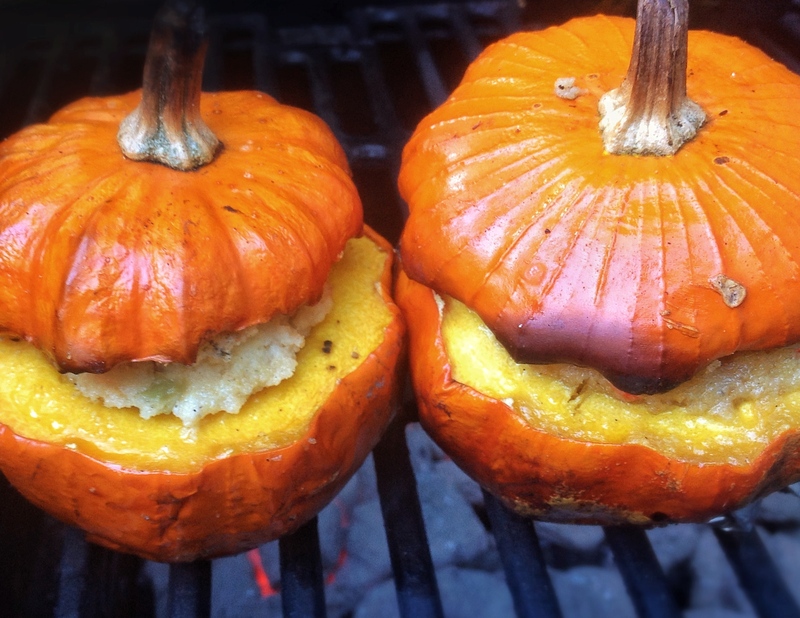 Cut a flat spot in the bottom of the Jack-o-Lantern so it does not tip over while it’s on the grill or the plate. 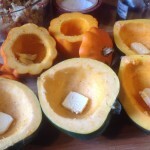 Cut the top off about ½ inch down to create a nice top hat for our scary squash. 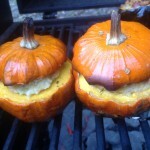 If you are grilling acorn squash, cut the squash in half long ways. Using a spoon, scoop out the inner seeds and set them aside. The seeds can be disposed of, or cleaned, dried, seasoned and roasted into a very healthy salty snack. Season the inside. We used a nice BBQ dry rub from our friends at www.bbqpantry.com. Put a pat of butter into each cavity. 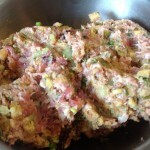 Then add stuffing to fill. Do not pack it in tightly. 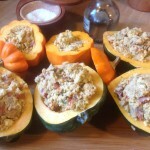 The stuffing has to come to temperature before eating it. That will be much easier to do if the stuffing is not jam packed into the cavity. Using a permanent marker, draw an extremely scary Jack-o-Lantern face on the squash. 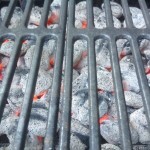 Prepare a medium (350) fire under a clean grill. 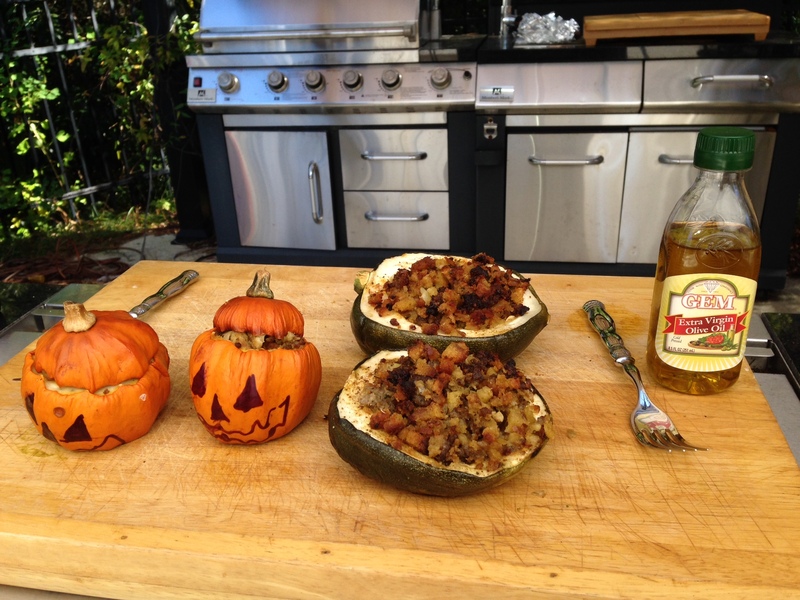 Grill for 30 minutes to 1 hour or until the squash is tender and the stuffing reaches an internal temperature of 165 degrees. Let cool for 10 – 15 minutes and slice in half. Drizzle with some extra virgin olive oil and choose tricks because you have the treat on your plate!